This book is very dystopian. 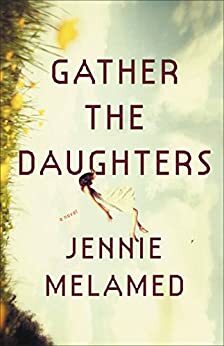 The girl children happily live in a dark and brooding world, almost unaware of their future. Their future changes when Janey steps forward. This book is hard to read. The farther into the beginning you read, the more the bleakness of the dystopian world settles in. Then, like Janey, you see a light. The shimmer of possibility brings hope. The book was really well written and the characters were all amazing, especially for children. The girls were stubborn, smart, adaptive and amazing. While this book may seem anti-feminist on the surface, I felt a strong tug of feminism just below the current. I enjoyed this book, even though it was out of my normal book reading. Thank you to the publisher for a review copy. Delphine Duplessi finds herself in New York after fleeing Paris to escape her one true love. There she tries to rebuild her life, painting shadow portraits. These paintings reveal the sitter's deepest secrets. When tragedy erupts because of her art, Delphine is forced back to Paris and her old life. 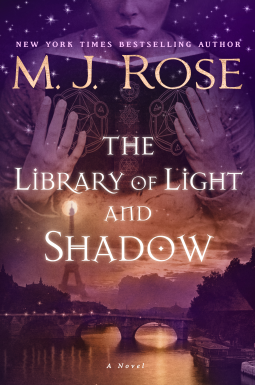 Her twin and lifeline, Sebastian, persuades her to take up her art once more to discover a secret hidden book. While doing so, Delphine must look into her own shadows to find herself and heal from tragedies past. This book, a continuation of The Daughters of La Lune, series is magickal. Delphine, while not as sympathetic as her sister Opaline, is wonderful. I enjoyed her independence, but it was a co-dependent independence. I love how MJ Rose weaves in previous stories, without it being overpowering. This story is really amazing and I can't recommend it enough. I loved it enough to purchase the first one in the series, The Witch of Painted Sorrows. I am also hoping that Jadine, the last sister, gets a story. Or even the great grandmother. Mei, now a part of the Inner Court, watches as the Emperor Taizhong dies. With Pheasant by her side, Mei is looking forward to her future. 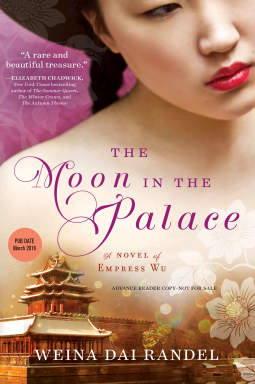 But Mei is sent to an outpost monastary as the former emperor's concubine, where she lives in poverty. Once again summoned to the Inner Court, Mei is happy to be back at Pheasant's side. But life will be hard, as Phesant's first wife refuses to allow Mei any happiness. The two women fight for the future- of their children, their happiness and of China. The action in the second book of this duology really picks up. Mei really shines in this one as a powerful wife and mother. I really enjoyed her relationship with the Princess, but I wish that Pheasant could have been a stronger force. Some of the scenes in this book are tough to read; be prepared for heartbreak. I did like how Weina re-imagined the way history has portrayed Mei, especially in one poignant scene. This series was one of my favorite reads! Mei's future begins with a prophecy that is followed by tragedies. Foretold to be a powerful woman, mother to emperors and an emperor herself, her father teaches her in many subjects. But his death leads her to the Court of Emperor Taizong. 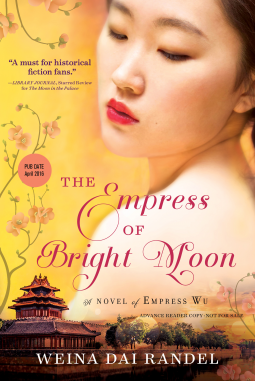 There, Mei struggles to become the Emperor's Most Adored Concubine to help her mother. But she struggles to be noticed in a world dominated by scheming women. Mei is noticed by one person, Pheasant, who turns out to be Emperor Taizong's son. Life is hard, but Mei must persevere. The first part of this duology sets the the stage for an epic story. Mei is a wonderful narrarator, but young. She is trusting, selfless and brave. But she must learn to be cunning. As life gets harder as she gets older, the reader comes to love her. The politics of the Inner Court are thick, deep and maddening. There are multiple adversaries and really only one friendly lady, so the reader feels Mei's loneliness. The love affair with Pheasant turns out to be pleasant, but makes things fraught. The book is amazing and was nominated for multiple awards. It was one of my favorite books of 2016. The court of the Sun King evolves after the death of much hated Madame de Pompdour. Adelaide, eldest unmarried daughter of the king is determined to become her father's companion. Louis has other ideas and is introduced to Jeanne, the Countess du Barry. Jeanne comes to court and becomes Louis' mistress. The women vie over control of the king, court and the newly welcomed dauphine. I really enjoyed this finale. 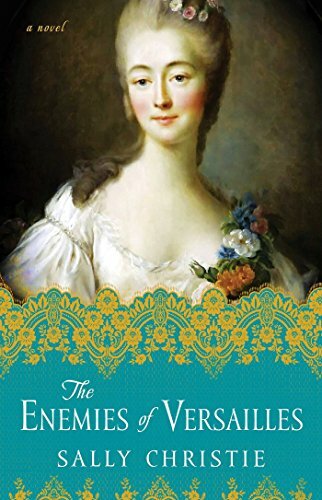 This book focuses on the lives of the court women leading up to the French Revolution. The book is narrated by Louis' daughter and his mistress, Jeanne. I enjoyed Jeanne's voice much more, but she could be very frivolous. I also liked seeing the revolution from different views other than Marie Antoinette's. 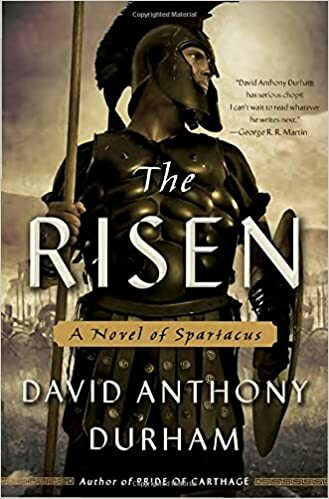 A very good book to end the series with. While Rodrigo Borgia founded a dynasty drenched in corruption, womanizing and excess, it is his children that tell the full story. Lucrezia, twice married, is reeling from the loss of her second husband. She is quickly married to Ferrara's Duke Elect. Her infamous brother is suffering from the scourge of the pox, but is determined to bring all of Italy under his heel. The Florentine ambassador Niccolo Machiavelli watches Cesare's reign of terror with fascination and admiration. But all things must end. Dunant's books are amazing. Instantly, you are transported to the calm and serene Corpus Domini nunnery or the boisterous inner chamber of Pope Alexander VI. The scenes are studded with realism, both in scenery and actions. The characters, even the minor ones are thoroughly explored. I am surprised at how I connected with Machiavelli and even Micholetto. 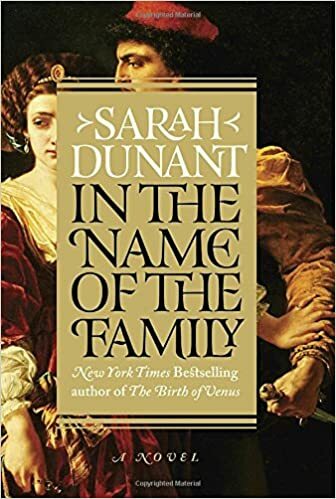 I loved this book, but that's no surprise as one of her early books, The Birth of Venus, made me fall in love with reading again. Dunant doesn't let the readers down. A phenomenal read. Thank you to the publishers for a review copy. Spartacus is rebelling against Rome. But his rebellion is more than just a rebellion. Members of the rebellion are trying to rebuild their lives. This book follows the struggle for freedom and the stories that revolve around it. This book was really touching. The stories start with Spartacus, but branch out. The different characters are wonderful and each have their own wants and desires, but are working towards a group goal. The plot was nicely done, working history in with fiction. The book was really good.